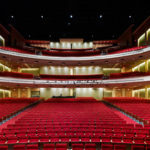 Something for everyone is our goal for the over 100 events a year headed to the Durham Performing Arts Center. (DPAC). From rising new stars to the biggest name superstars from around the world, DPAC will set the stage for both contemporary and legendary events at a level never before seen in the region. Join us soon for all of the Big Shows…Up Close!